There’s no talking in the podcast except for the beginning. The reason being? Well, they’re no words that can adequately express or describe the sadness I feel. I just can’t find the words to say about the passing of “Syd”. He gave the world Pink Floyd and he’s perhaps one of the most influential individuals in pop culture. 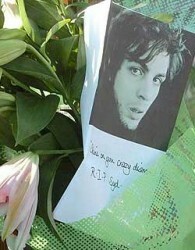 Roger “Syd” Barrett is truly an icon and he lives forever through the music he gave and inspired.